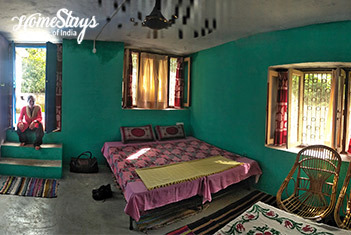 If you are a real traveler, if you are looking forward to experience rural life of India beyond guide books and the backpacking stories, if you are a nature lover and have respect for environment, you must visit Kyari – a forest village where you will experience the true Kumauni way of life immersed in nature. Kyari lies within the Pawalgarh Conservation Reserve which is a part of Corbett Tiger Reserve in Nainital district of Uttarakhand, just 9 km from Ramnagar. It’s a small village of about 100 houses and the main occupation here is farming. Khichri River is the lifeline of it which flow just beside. Nearest entry point to Corbett National Park is Bijrani (11 km). 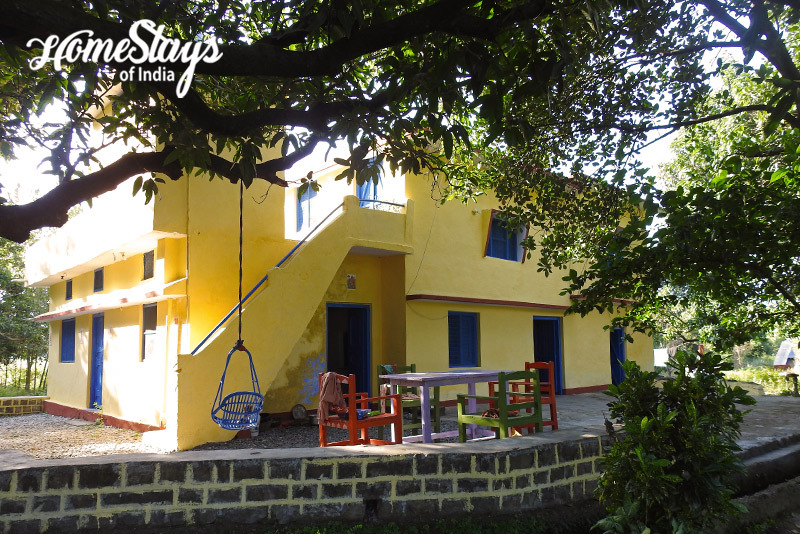 The homestay is nestled in a Mango orchard and surrounded by dense forest, hardly 200 mtr from Khichdi River. 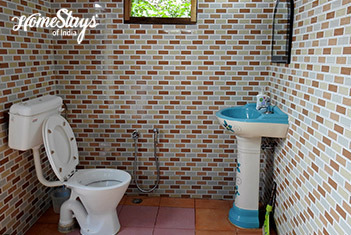 It has only 2 guest room on first floor with a common toilet and a private terrace overlooking the forest. The host family lives on the ground floor, stay mostly involved in farming and taking care of livestock. 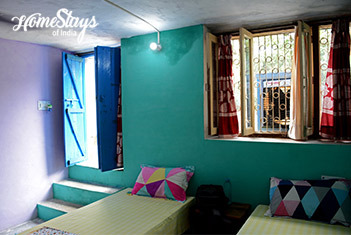 May you join them with their daily life, go for a walk along the river side, interact with locals, learn about their culture and traditions or simply stay home, read a book and enjoy local food; this place will give you an Adrenaline Rush. Naveen is a young exceptional naturalist and even a better birder. A walk with him in the forest can be an unforgettable experience. He is instrumental in leading conservation and community development activities in his village. His wife Kamla navigates through the jungle trails as easily as the wildlife. 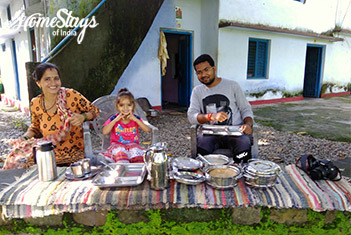 She loves to interact with guests and narrate her adventure stories over tea. You will be served most fresh organic food from the farm. Kamla is happy to cook as per your taste, the Indian way. She loves to serve authentic Kumauni cuisine along with other north Indian food. It will be a great experience to eat hot & fresh in her family kitchen. Including: Breakfast, Dinner, Morning and Evening tea. 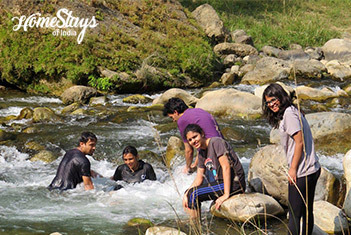 Note: Corbett Jeep Safari and Camping can be arranged on request.